Watch the Strangford Ferry light up the Lough with its dazzling Christmas illuminations. Purchase quality artisan food and crafts at the Christmas market in the Recreation Hub at Portaferry Sailing Club. Listen with delight as chiors and musicians sing and play on each ferry crossing. Children can experience the magic of a visit to Santa for free - that's our festive gift to you! Great prizes for best decorated houses, car and boats. Tel: 0783459566 or keep checking our website for more updates. 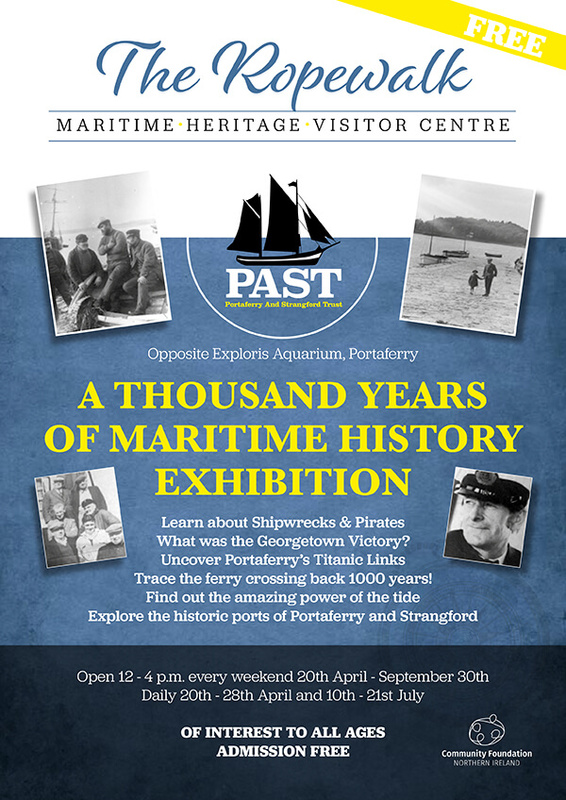 Entitled “1818, The Golden Age of Portaferry and Strangford”, this exhibition will provide a window on the remarkable amount of maritime activity in both villages and their connections with the rest of the world 200 years ago. Strangford Narrows was the site of the world’s first commercial scale tidal turbine and visitors will be able to learn about recent tidal energy projects in the area that put it at the forefront of renewable energy research. The exhibition will also cover seaweed production from 200 years ago right up to the present, with the largest sustaianable seaweed cultivation research project in these islands being located in Strangford Lough. Dr. Bob Brown will be giving a talk entitled “Birds of the Narrows…. the bigger picture!” at 7.30pm in the Market House, The Square, Portaferry. Admission, £3 in aid of PAST, includes refreshments. Bob is an enthusiastic, knowledgeable and entertaining speaker. This promises to be a fascinating evening. All are welcome.